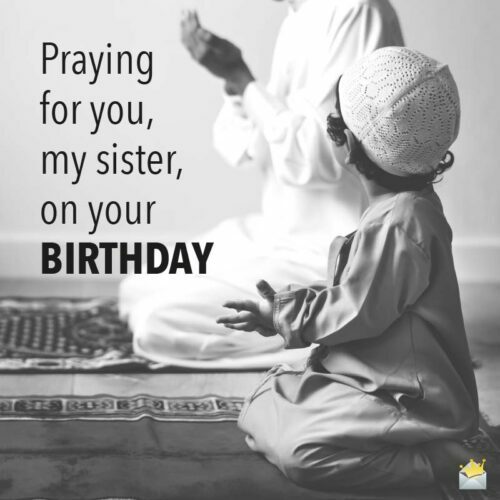 Sending your sister beautiful prayers on her birthday is one great way of inspiring her and strengthening her faith in God while letting her know she’s on your mind. So here are some strong prayers you can easily use in commemorating the anniversary of the day on which she came into this wonderful world. Happy birthday, sister! May the Lord continue to open all kinds of amazingly beautiful opportunities for happiness in your life. This is my greatest prayer for you. Sis, on your big day, may God bless you with a lifetime filled with good health, dreams come true and happiness. You truly deserve these precious gifts and many more from the Lord. Dear sister, while you celebrate this important moment that marks your birthday, it is my prayer that you will forever walk in God’s favor, miracles, and tranquility. Stay blessed, my love. Words can’t express how grateful I am to the good Lord for granting you another beautiful year on this beautiful planet. I pray that His love, blessings, grace, and kindness will dwell in you forever. Sister, as you enter a new stage in your existence, I am hoping that the Lord Almighty will furnish you with amazing and exciting discoveries. May you always walk in the path that leads you to emphatic victories, successes and great happiness. Happy anniversary, sister! Today, I pray that God Almighty will uplift you in whatever you do and put immense gladness in your heart on this special occasion and throughout your days on earth. May the divine presence of the Holy Ghost constantly be with you and shelter you from your enemies. Have a blessed birthday, sister! Hearty honorable day, sister! I am praying for a superabundance of joy and heartwarming discoveries in your life. Life, Love & Laughter on your Birthday! As you journey into another exciting year, it is my heartfelt prayer that the divine understanding and wisdom of Jehovah Almighty will never depart from your world. Enjoy this blissful anniversary, sister! 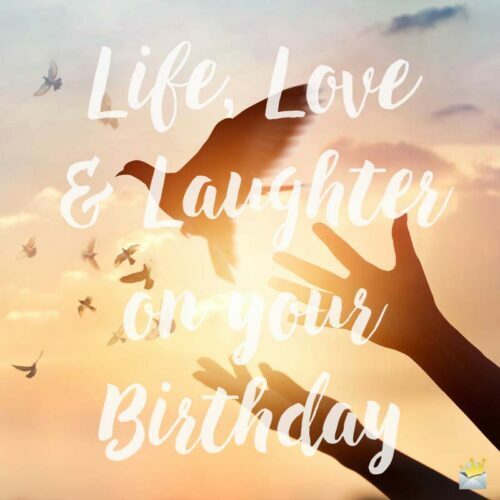 Wishing you an incredibly joyful and sunny birthday celebration. May the Lord’s divine protection and favor surround you all the days of your fabulous life. I love you, but Jesus Christ loves you even more. I pray that happiness, grace, and peace will forever be your portion. May whatever you lay your hands upon excel and bring you immeasurable happiness. May all the days ahead of you blossom with immense gladness and prosperity as you jubilate in the excitement of a brand new age in your life. Happy anniversary, dear! It is my sincerest prayer that you grow from one remarkable height to another remarkable one in wisdom, stature, happiness and health. May you always find kindness in the sight of the Heavenly Father and may there forever be countless moments of thorough joy and laughter in your life. Dear sister, I am praying for the abundance of God’s lovely blessings in every sphere of your life as you commemorate this special anniversary today. Wishing you a beautiful, bright and blessed birthday today, my sweet sister. May this beautiful day of your life bring you uncountable reasons to smile. Praise be to the Lord for this amazingly wonderful moment in your life. May this day bring you happiness and all the incredible opportunities in the world. Praying for you, my sister, on your birthday. May the Heavenly Father fill your world with delightful memories, wonderful accomplishments, and endless opportunities. Happy birthday, dear! Happy day of birth! Dearest sister, as you celebrate this special moment in your life, I pray that the richness, goodness, and mercy of God will be with you all the days of your existence. On your birthday, beloved sister, may you receive all the Lord’s choicest blessings. May He fill every moment of your life with incredible joy, fortune and hope. May the Heavenly Hosts watch over you and gift you all the desires of your heart in a truly splendid manner. Congrats on a new age! May the divine blessings of God bring you good health, hope, and contentment as you kill the fatted calf today. May the Holy Father fill all the days of your life with nothing short of true happiness. Amen! Sweet sister, I pray that you will always walk in the goodness, mercy, and richness of the Holy Father as you celebrate this new age in your life. May the Lord’s divine light shine in your life and brighten every corner of your world until the end of time. Today being a great day in your life, I pray that the good Lord will strengthen your faith and shower you with hope to overcome all obstacles in this life. I pray to God to grant you good health, divine protection, and everlasting happiness on this very magnificent day of yours. Wishing you a super exciting birthday. Love you so much. 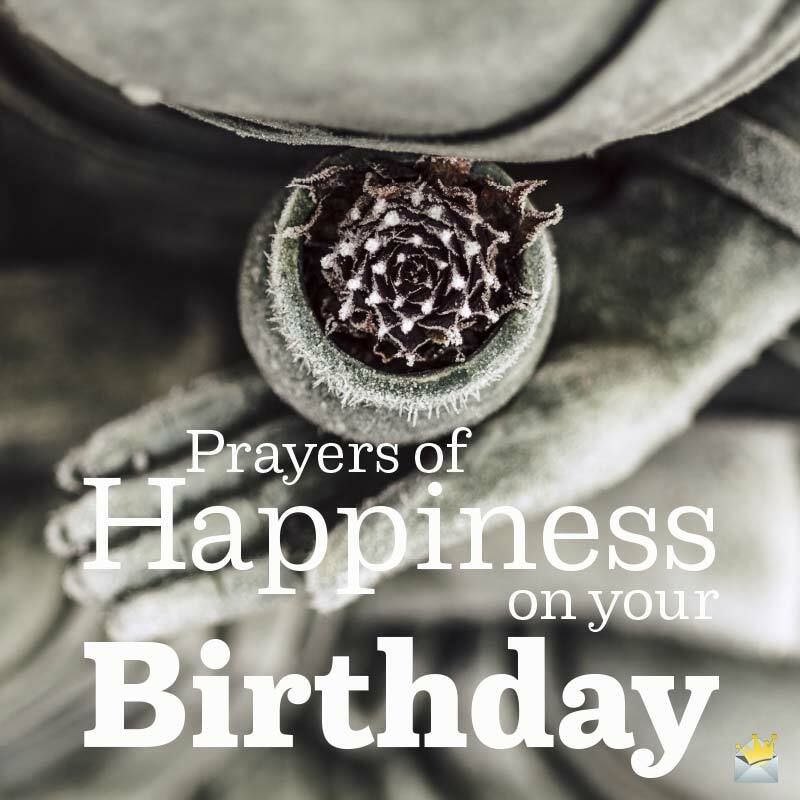 Prayers of Happiness on your Birthday. May the Lord wrap you in His grace and shelter you from the hands of your adversaries. Darling sister, I wish you an exciting birthday and a day that overflows with many amazing wonders of the Lord. And may these incredible blessings accompany you everywhere you go. Dear sister, on this incredible day, which marks your birthday, my solemn prayer for you is that Jehovah God will forever walk with you and grant you wisdom, strength, and courage to overcome all the obstacles that come your way. May your heart always enjoy the sweet taste of bliss. May the blessings of the Lord be kind and generous to you today and forevermore. May every path you take in life reward you with prosperity and great happiness. As the sun rises on your birthday, I pray that your faith and hope in God will also rise and bring forth prosperity, peace, and joy into your world. I pray for the never-ending love and grace of God to overflow in you and flood everyone around you with peace and happiness. Amen! May the Lord pour into your heart immense peace, love, excitement, and joy not only on the occasion of your birthday but for eternity. Have a blessed and colorful birthday, my darling sister.